Kenyans are expected to go for a re- run of presidential elections this Thursday despite increased political anxiety from President Uhuru Kenytta’s Jubilee party and Raila Odinga’s National Super Alliance (NASA). Odinga has stated that he won’t recognise President Uhuru’s win, following requests from different stakeholders for a roundtable. He pulled out of the election earlier this month, maintaining that NASA’s ‘irreducible minimums’ were not met by the Electoral body, there can’t be any election under current circumstances. Preparation of fresh election was ordered by Kenya’s Supreme Court, after it annulled the August 8 poll, over “irregularities” and “illegalities” of the process. This came after a petition from Odinga’s NASA Coalition. The first batch of ballot papers has however touched the Kenyan ground as the last one is expected to arrive in the country this Tuesday, from Dubai. 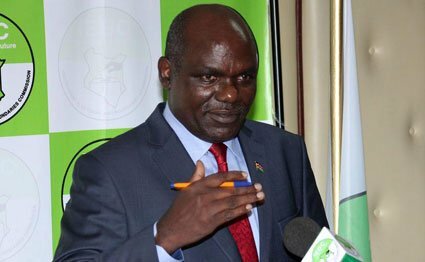 The results of Thursday election however are likely to end up in Supreme Court again, after revelations by Roseyln Akombe, former commissioner at Kenya’s Independent Electoral and Boundaries Commission (IEBC). Akombe resigned last week citing partisan decisions by her former colleagues, intimidation and threats over her life and IEBC’s officials. President Uhuru was quoted by Kenyan media this Monday saying that he can only have a dialogue with Odinga after the election. “We will talk later after voting. We will never talk on how to deny the people their democratic right to vote for their leader. Let the people decide,” he said.